neuron in the final layer has the highest activation.""" and omits many desirable features. ever used in computing the outputs from later layers.""" """Return the output of the network if ``a`` is input.""" tracking progress, but slows things down substantially.""" 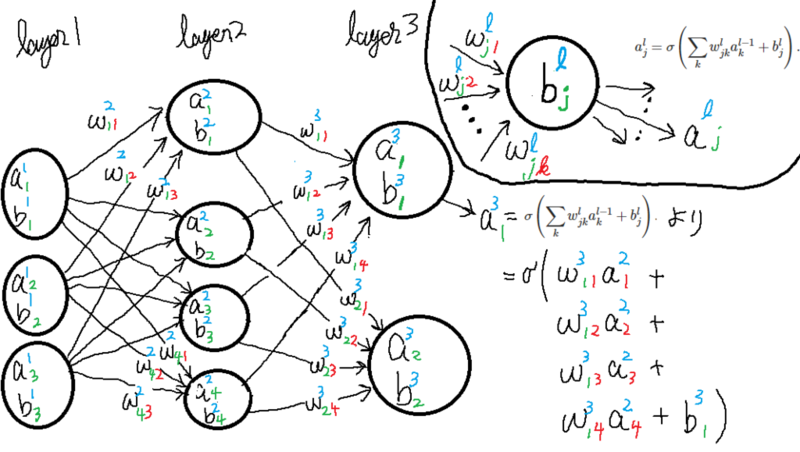 gradient descent using backpropagation to a single mini batch. # that Python can use negative indices in lists. \partial a for the output activations.""" """Derivative of the sigmoid function."""